Laurence C. Breiterman of Advanced Dental Techniques in Wayne, NJ leverages the latest in dental technology to allow patients the ability to receive dentures that are supported by dental implants, yielding a more stable and comfortable denture solution that lasts longer than traditional dentures. Titanium posts secured into the jaw hold a denture securely in place and provide bone stimulation comparable to that of the natural teeth, preventing ultimate boss loss and jaw misalignment. 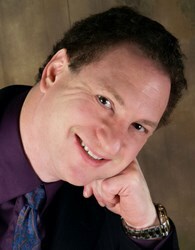 Dr. Laurence C. Breiterman brings dentures supported by dental implants in Wayne, NJ. Laurence C. Breiterman of Advanced Dental Techniques offers Wayne, NJ patients a new hope to replace missing teeth by leveraging the advantages of dental implants and dentures together to deliver outstanding stability, comfort, and functionality. The life of implant-supported dentures is longer than what can be expected from traditional dentures, which can reduce the number of future replacements and office visits needed. The titanium posts simulate a natural tooth, stimulating the bone to help reduce the chance of future bone loss. Patients with only one or two missing teeth can often receive traditional dental implants, but patients with multiple missing teeth are often in need of more advanced dental techniques and processes. Commonly, a traditional denture that rests on the top of the gums has been used in cases like these but result in discomfort, slipping out of place, and the inability for patients to eat and talk normally. The new implant-supported dentures address all of these concerns, offering patients an incredibly comfortable and stable solution where the denture is connected solidly to the implants, allowing normal chewing and other use of the denture. Dr. Breiterman performs two styles of implant-supported dentures for patients to take advantage of. One is called a bar-retained denture. It is built on either three or four implants positioned into the jaw and a metal bar is formed to match the patient’s own gum line on top. It is this bar that attaches to the denture and holds it in place. The other method is called a ball-retained denture and also is built on a base of three or four implants. In this method, however, there is no bar but instead a ball style top to each implant that connects to a corresponding socket inside the denture. While a traditional set of dentures can be expected to last anywhere from five to seven years, these dentures that use dental implants have much longer usage lifespans. People who have missing teeth and are are interested in learning about solutions like implant-supported dentures are invited to contact the team at Advanced Dental Techniques or visit their website at http://www.newjerseygumsurgery.com.